A lightweight jacket for protection against the elements, the Coriolis II Hooded Windbreaker is the one to pack when you’re taking on the weather close to home or on your travels. Made from a durable woven nylon, with a water-resistant finish, it’s a tough shell on the outside, with a super-soft and durable corespun lining on the inside. This inner merino-nylon mesh fabric offers warmth, breathability and odor-resistance, for top performance when the conditions turn challenging. 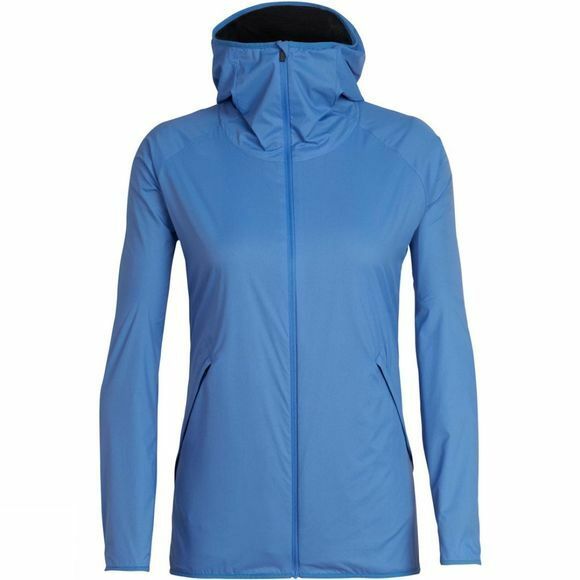 Designed for comfort and practicality, the jacket features a fitted hood and a chin guard to prevent chafing. The front zip is reverse-coiled and water-resistant. Easy to move around in, the design includes raglan sleeves and an upper-back yoke vent for when things heat up. The water-resistant zippered hand pockets keep your hands warm and dry and also allow you to stash small items safely.